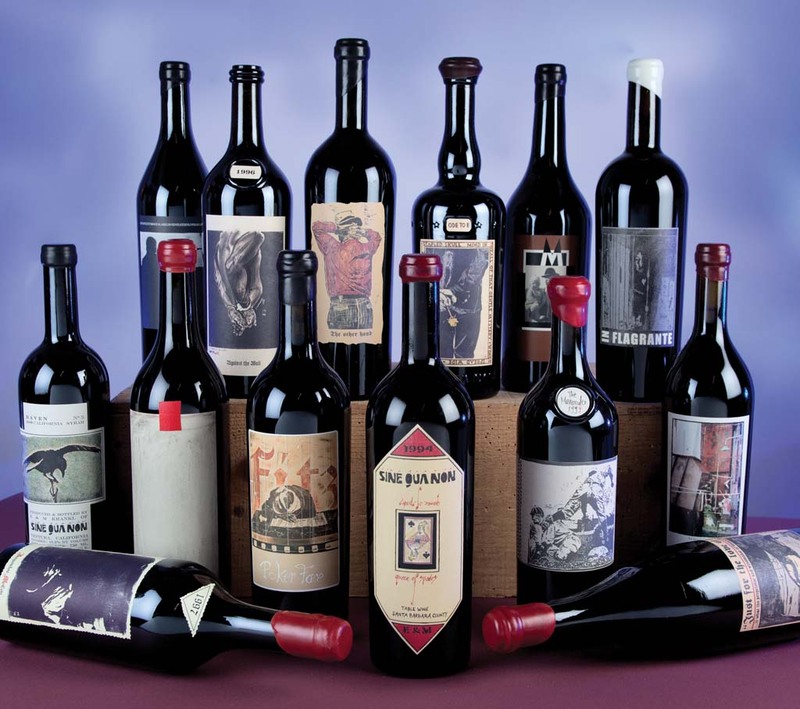 Artist wine labels: A crucial aspect of the wine making process is the creation of the wine label. The winemaker will often work with an artist to produce a label that captures their personality and tells the story of their wine and it’s heritage, in a visually arresting way. 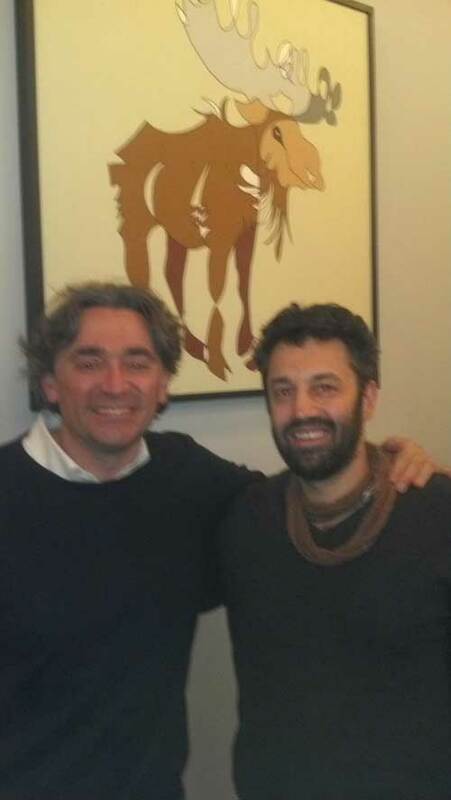 It is important therefore that both winemaker and artist get this part of the process right. An imaginatively executed artist wine label also makes a great conversation piece. 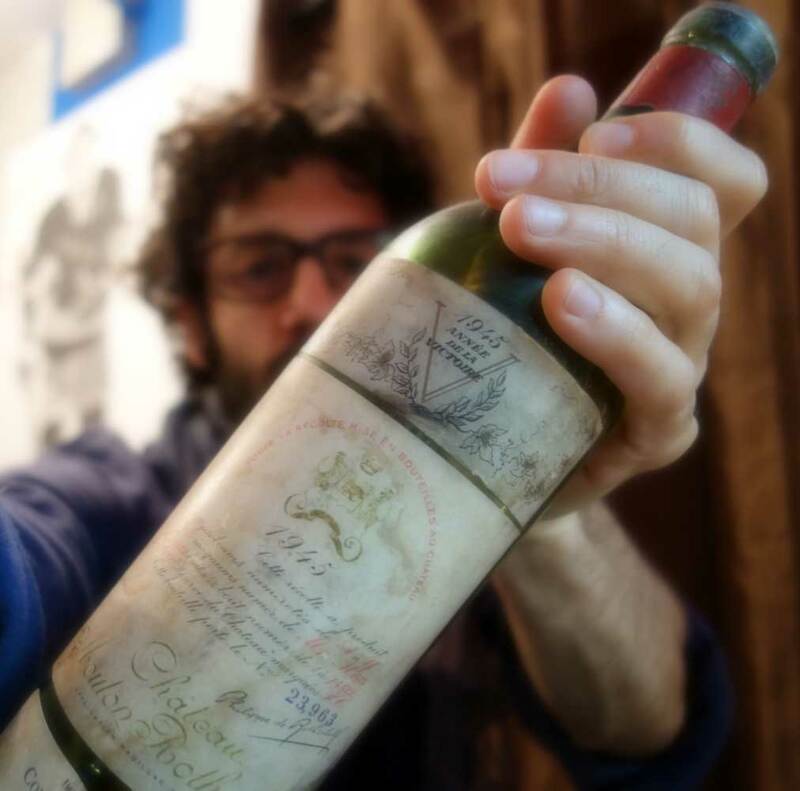 Three excellent examples of artist wine labels come from France’s Chateau Mouton Rothschild, Italy’s Vietti and California’s Sine Qua Non. Steeped in art history, tradition and modern art these three wine producers are considered by many to be the pioneers of the artist wine label, and continue to push its concept to creatively inventive heights. 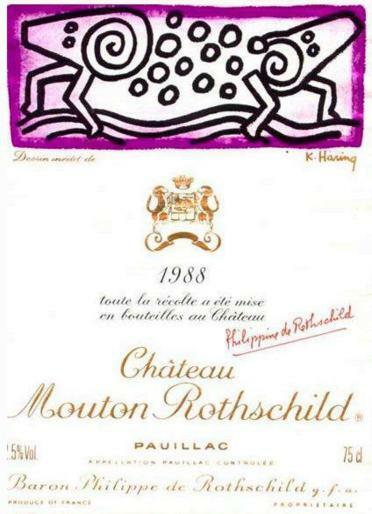 In the 1920’s, in a move to modernize the Chateau Mouton Rothschild brand, Phillipe de Rothschild enlisted contemporary artists to create beautiful label designs specifically for the purpose of enhancing the wine’s marketability. 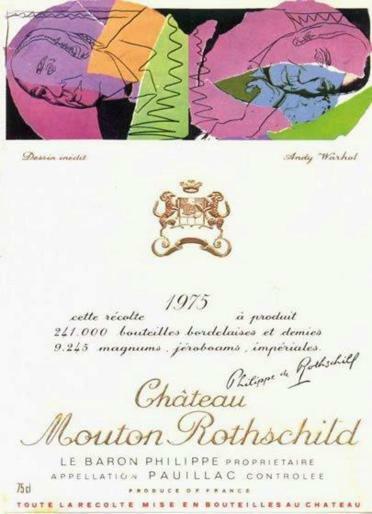 This practice was cemented in 1946 (and has continued as standard practice ever since), when Chateau Mouton Rothschild enlisted little known graphic artist Phillipe Jullian to adorn their label with an embellished ‘V’, to celebrate the victory of the Allied Forces. Their artist wine labels tradition has only been broken a handful of times for special commemorations. Jean Cocteuau, George Braque, Salvador Dali, Henry Moore, Joan Miro, Marc Chagall, Pablo Picasso, Andy Warhol, Keith Haring, Francis Bacon, Lucian Freud, XU Lie and Anish Kapoor are just some of the renowned artists to have created wine labels for the prestigious winery. 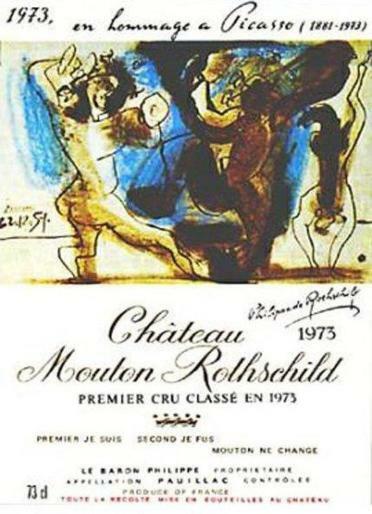 Their next wine release, Chateau Mouton Rothschild 2010 vintage, will have a label by American artist Jeff Koons. In the Langhe region of northwestern Italy, a fourth generation small-producer makes some of the world’s most distinct, single-vineyard Barberas and Barolos. 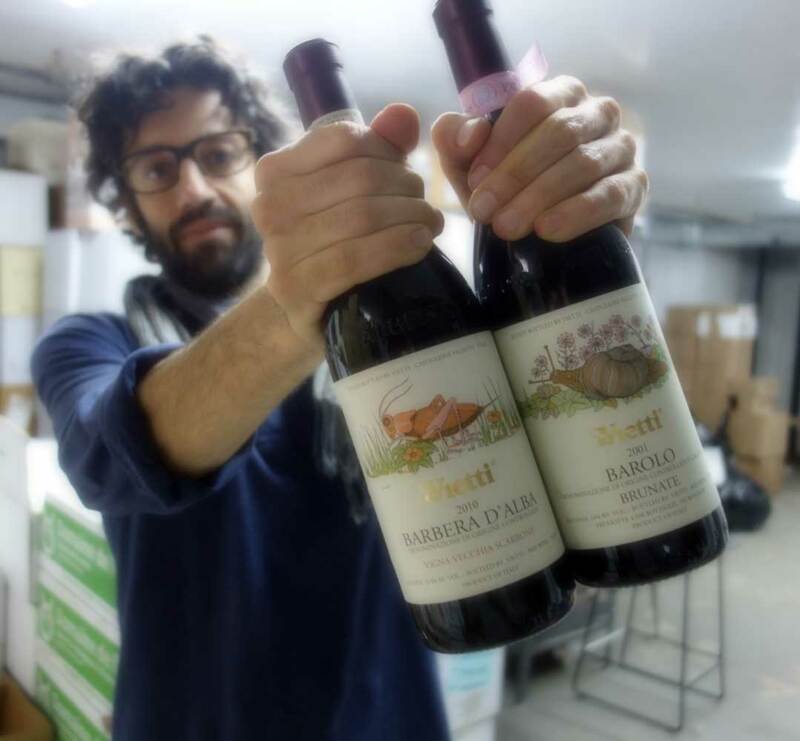 Since 1974 the Vietti family has been adorning their beautiful bottles with beautiful labels. 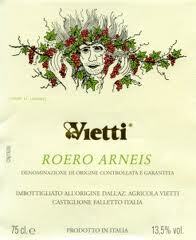 For more information about Vietti Wines and their contribution to the history of Artist Wine Labels please have a look at their website. 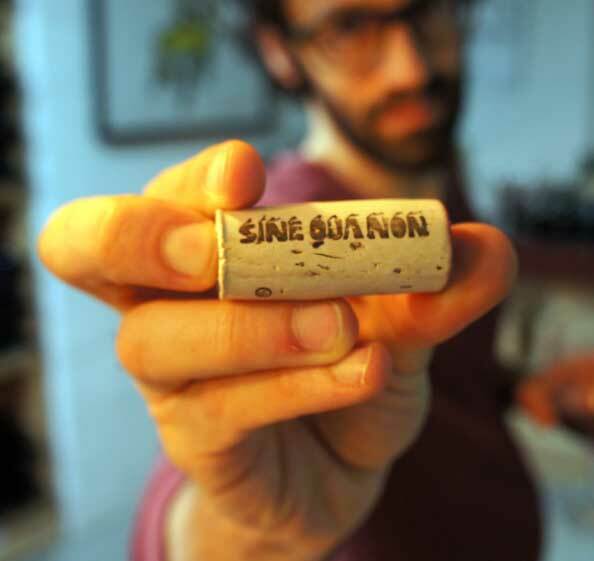 Elaine and Manfred Krankl make distinctive and delicious wines under the name Sine Qua Non that are always at odds with tradition, whether its their winemaking or the titles and artist wine labels created by winemaker/artist Manfred Krankl. 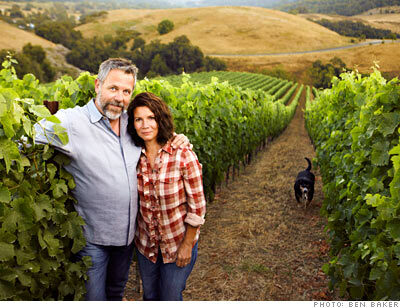 What started as a winemaking hobby in 1994 has grown into one of the most celebrated, collected and hard to acquire Rhone varietal Syrah and Grenache wines out of California. With the distinctive artwork of their wine labels and their quirky titles like The Maurader, The Thrill of Stamp Collecting and their first vintage, Queen of Spades, the Krankls have created a wine brand that is the epitome of cool.